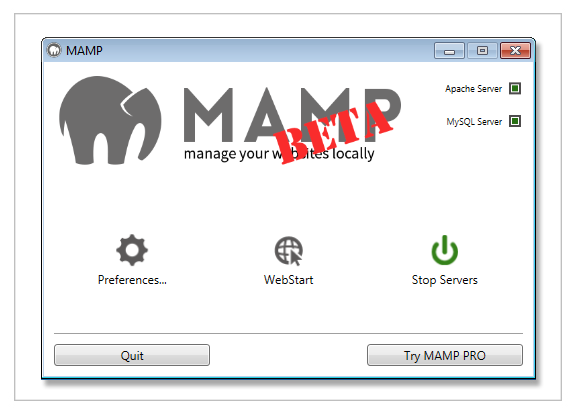 Today we released MAMP for Windows Beta. We are looking forward to your feedback! Bugs can be filed at our bug base. MAMP for Windows comes with the same set of features like the Mac version. MAMP for Windows Beta comes in English – in the final version the languages Spanisch, French, Russian, Japanese and German.